As the dog days of summer slip by, farm stands begin to fill, the range of produce growing daily as veggies ripen, fruits ready for picking and the fields reveal their bounty. While a few prominent farm stands are situated along The County’s major routes, many more are tucked away along its back roads and side roads, just waiting to be discovered. Come enjoy fresh, local, seasonal, just-picked, home-grown produce through late-spring, summer and into early-fall! 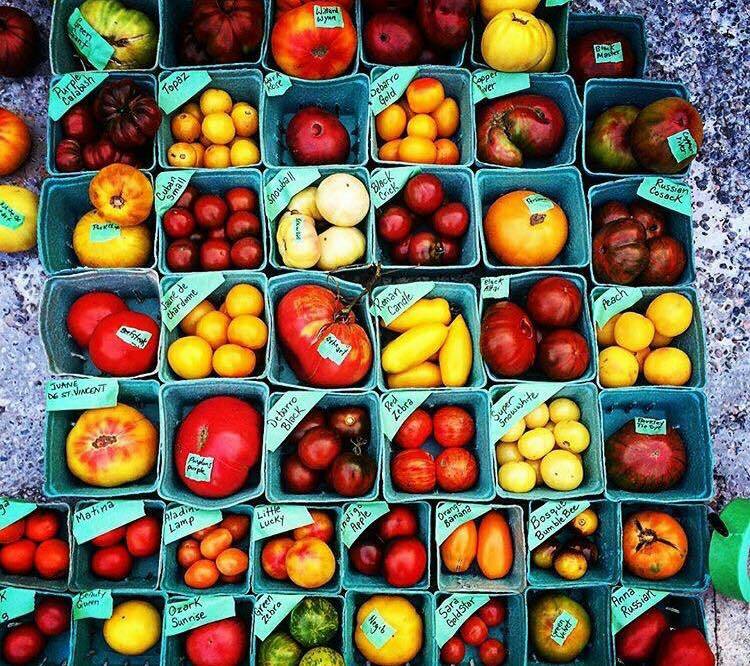 Here are some of our favourite farms & farm-stands. Thyme Again Gardens is a working, organic-certified farm with a two-acre market garden offering heritage tomatoes, cabbages, peppers, squash, herbs, pumpkins and many unique vegetables. 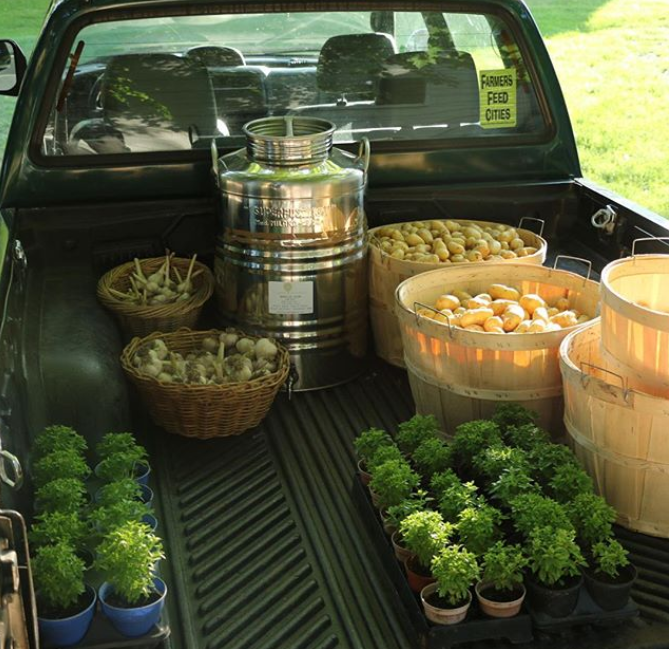 Check out the self-serve roadside farm stand or visit the farm house for eggs, meats, fleece and more. A family favourite year-round, Campbell’s Orchard & Country Market offers the most diverse selection of apples by at least a country mile. Get lost in the corn maze; kids will love the animals and the country playground. There’s a vast array of vegetables and fruits (including pick-your-own) at the quaint market, plus home-baking,or discover preserves, pickles and relishes, locally-milled flours, ferments and of course, fresh-pressed sweet cider. Danforth Acres is the place to head for local sweet corn. They also offer new potatoes, peas, garlic scape pesto, kale, Swiss chard, as well free-range chickens and eggs. This is a typical County farm stand – there’s rarely anyone on site, just a couple fridges and a table of fresh-picked produce, a price list and a box to leave your cash. 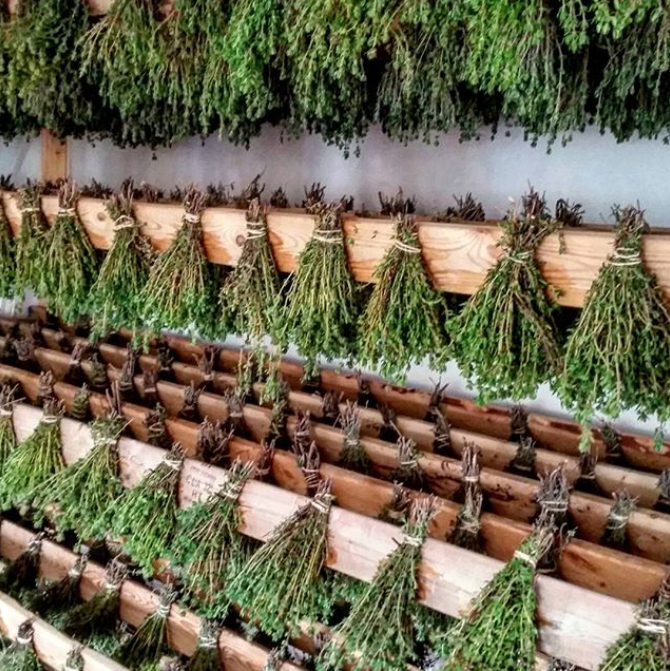 At Prince Edward County Lavender Farm, a huge selection of lavender-inspired products awaits, including vinegars, teas, sugar, chocolate, gelato and more. Pick up lavender and herb plants and explore the blooming lavender fields in July. 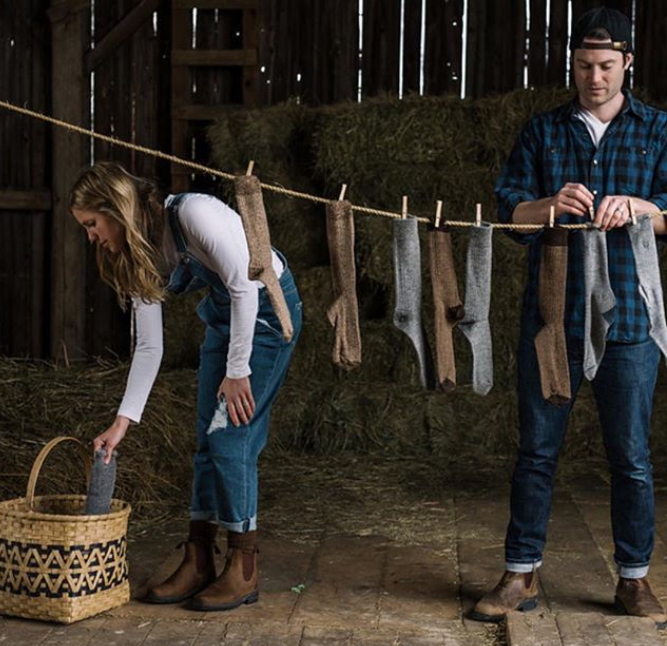 The SHED is an alpaca farm with a retail shop attached, where you can find the softest teddy bears, cloud-like shawls, alpaca-themed tea towels, ridiculously soft dryer balls or pick up a bag of SHED [poop] for your garden. Not your average farm stand, Portico Gardens on County Road 2 proudly displays its certified organic status. It boasts a rustic barn and an eclectic mix of produce including artichokes, beans and beets, heirloom tomatoes, purple carrots, herbs and microgreens. And garlic. Lots of garlic! Or try the roasted garlic pearls known as garlettes or the bruschetta kits. H&H Farms is a little different: the Hs stand for Hops & Heifers. In addition to four acres of hops, these young farmers have a delightfully friendly herd of water buffalo and sell their meat and cheese products from a shop on site. 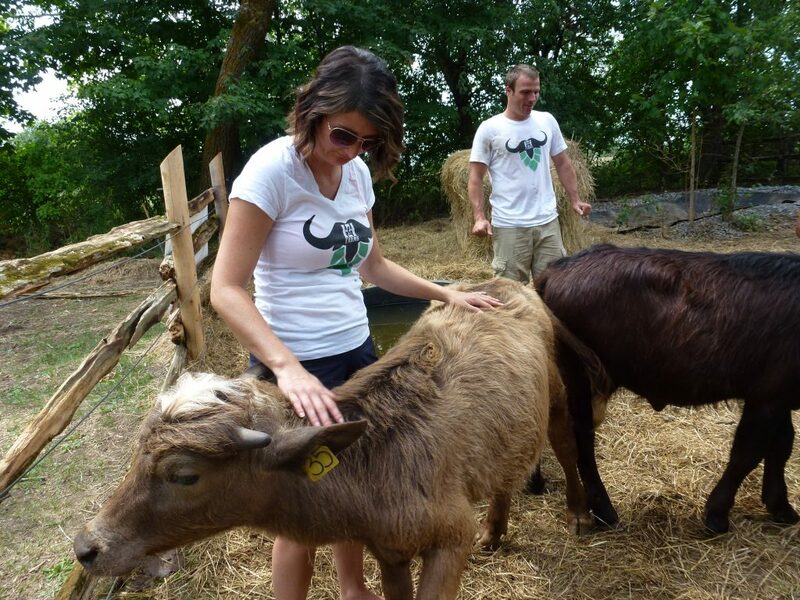 They also offer tours of the farm and a chance to spend time with the water buffalo. A fixture at the far west end of Wellington Main Street, Lakeshore Farms offers top-quality, farm-fresh produce as well as freshly-baked delights, diary items, frozen foods and maple syrup. Their farm also does pick-your-own strawberries in the spring. Wellington Farmers’ Market still features actual farmers! There’s Blue Wheelbarrow (mentioned below), Waupoos Acres, Cloven Farms, Lakeshore Farms, Roblin’s Maple Syrup and more. In a shelter opposite County Traders on Stanley St., Van Grootheest Farm offers a shady spot to choose from a wide array of fresh-picked fruits and vegetables. In addition to huge buckets of gladiolas, they offer a huge selection of peppers, eggplants, squash, sweet corn and decorative gourds. With one acre of their 17-acre farm devoted to non-certified organic vegetable growing, Blue Wheelbarrow Farm follows the seasons, specializing in delicious baby greens and salad mixes. You’ll also find onions, tomatoes, beets, beans and much more at the farm stand. Their mantra is “cultivating community, celebrating the harvest, feeding people fully.” You can also find them at the Saturday Wellington Farmers’ Market. Schroedter’s Cafe & Bakery, situated on Highway 62, has seasonal produce plus organic meats, a great cafe and superb baking (including gluten-free options), with some of the best doughnuts in The County. 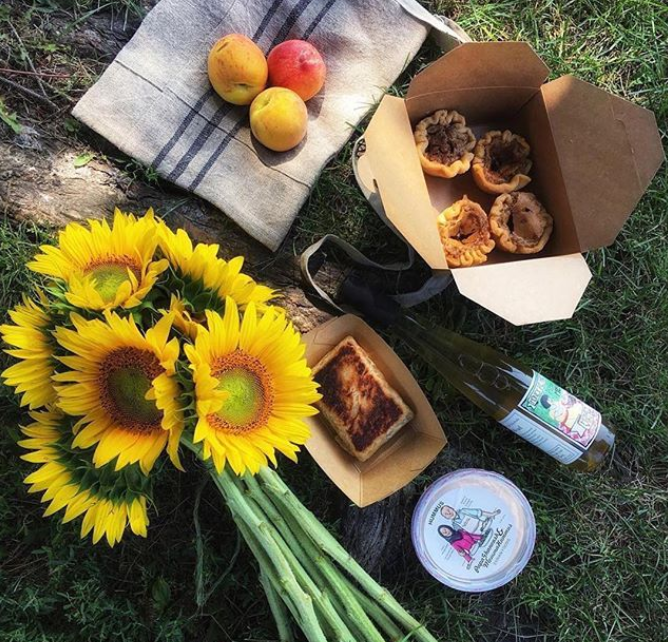 While Maw’s Lakeview Orchard Farm Market grows most of their produce at their Waupoos location, their farm stand is centrally located on Highway 62. Come for the corn maze or enjoy the annual pumpkin paint-off; you’ll be amazed at the big selection of tasty apple varieties. 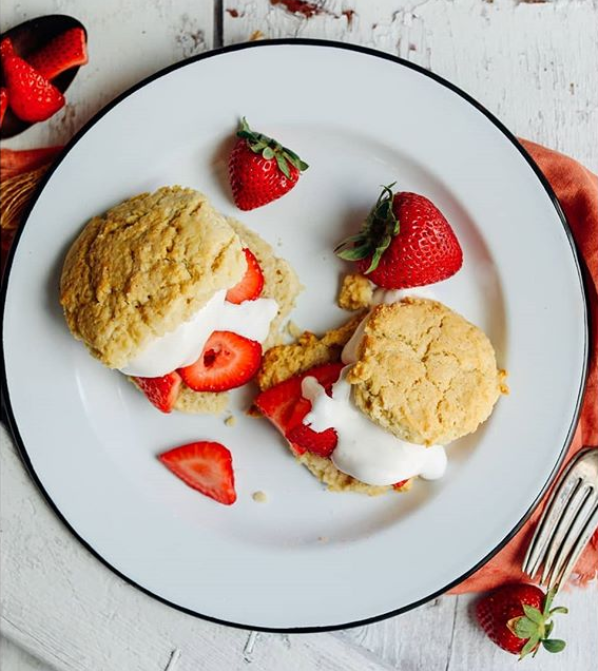 Known for pick-your-own strawberries and raspberries, Laundry Farms knows produce: the offerings from these third-generation farmers are extensive and include veggies, apples, corn on the cob, plus a splendid selection of pumpkins and honey. Specializing in reintroducing the old and obscure, Haystrom Farm boasts 400 varieties of heirloom and exotic fruits and vegetables. They also have pickled exotic beets, maple fire chili sauce and Arabiatta tomato sauce. 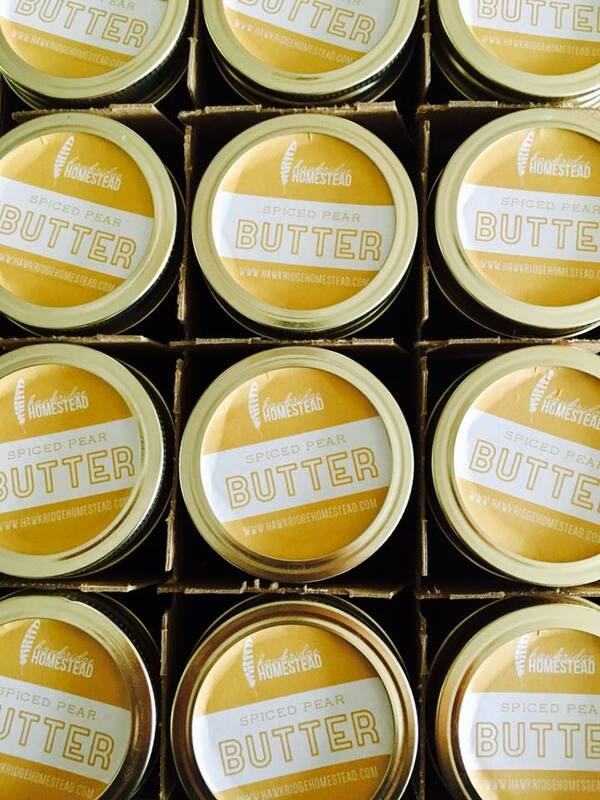 You’ll find them at markets around Toronto, as well as on Bethel Road, north of Picton. Honey Wagon Farms are proud to offer produce containing no herbicides, pesticides or fungicides. The self-serve farm stand offers a good range of produce and a wow-factor display of fall squash and pumpkins. They’re a favourite on Countylicious menus, but they are most famous for their maple syrup: they tap 550 trees at the back of their 86-acre farm. Don’t miss the delicious asparagus at Greenridge Farms in the spring. 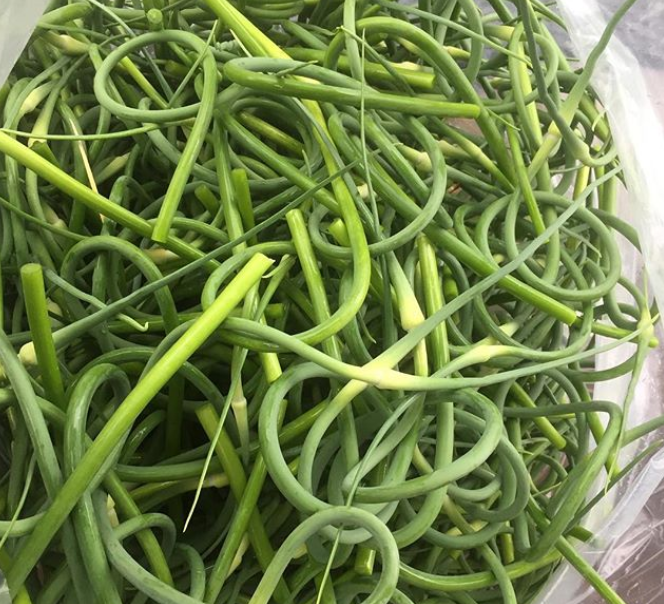 This Picton-area farm grows 60-acres of the tall, green stalks, which you can buy at the on-site farm stand or on the plates of County restaurants. Hagerman Farms is a popular spot, found on the outskirts of Picton on Highway 33. The family-run, multi-generational farm dates to 1905 and offers a wide range of vegetables through the growing season and is known for its pumpkins and squash. There’s a fabulous on-site bakery, chickens pecking at the dirt, super-friendly and informative staff and the farm has five barn quilts to admire. Established in 1924, Fosterholm Farms offers a great selection of vegetables and fruit, high-quality dairy products, baked goods (seriously delicious butter tarts!) and pure maple syrup and maple products. Kleinsteuber Farms is conveniently situated on the way to Sandbanks Provincial Park on County Road 12. The fourth generation farmers grow a large variety of vegetables, fruit, fresh-cut flowers and plants within the 35-acre market garden. A 25-acre heritage farm, Hawkridge Homestead is dedicated to sustainable and organic farming practices. Its product range includes spicy Thai sausages, free-range guinea eggs, blackberry gin jam, pickles, pesto and much, much more. They also offer a CSA, or community-supported agriculture, a sort of surprise box of fresh products, and will deliver some products to larger cities for an additional fee. 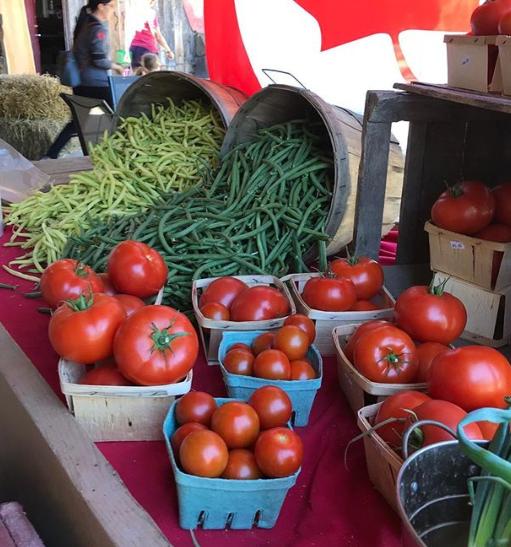 After a brief hiatus, beloved local favourite Vicki’s Veggies is back, offering more than 100 types of heirloom tomatoes, plus other farm-fresh finds at the post office-turned-farm stand on Morrison Point Road. Vicki’s seedling sale is legendary, offering a carnival atmosphere over the Victoria Day weekend that aptly welcomes the true start of gardening season. Nyman Farms is known for its animals (especially its baby animals) including lamb, chicken, beef and pork as well as turkeys and eggs. And don’t forget to try the amazing maple syrup. Floralora Flowers grows approximately three acres of annuals, perennials, shrubs and vines. 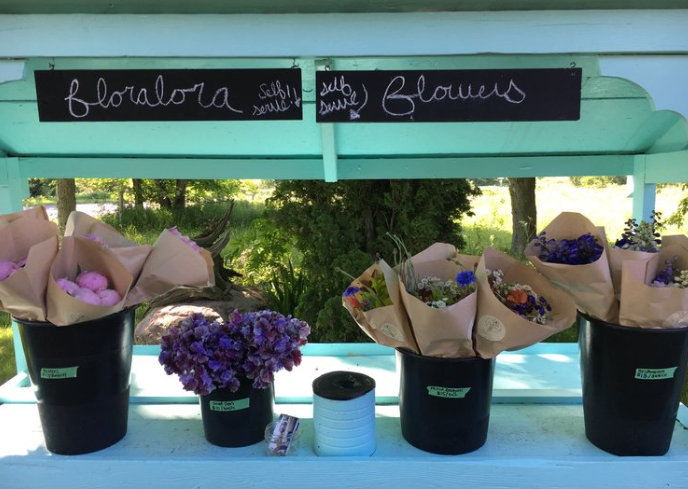 You can purchase mixed bouquets and single variety bunches all season long at their self-described humble, self-serve farm stand, putting a little County beauty into the bounty. Quinta do Conde sells fresh-pressed olive oil, free-range eggs and an ever-rotating selection of veggies from their three-acre market garden. Nestled on the north shore of the Black River, the farm is home to a wonderland of farm animals – including hens, waterfowl, guinea fowl, sheep, pigs and Alabaster, the great-Pyrenean, who protects them all. 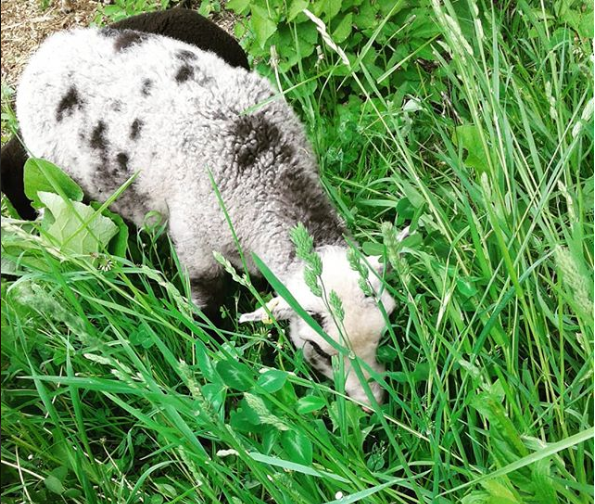 Quinta do Conde also hosts a summer camp program that helps kids connect with food and farm life; long, slow summer dinners that are truly farm-to-table; and workshops on such farm life staples as fermenting your own wine. Stop by in summer months between noon and 2 PM to enjoy the lunch pop up with its seasonal menu. 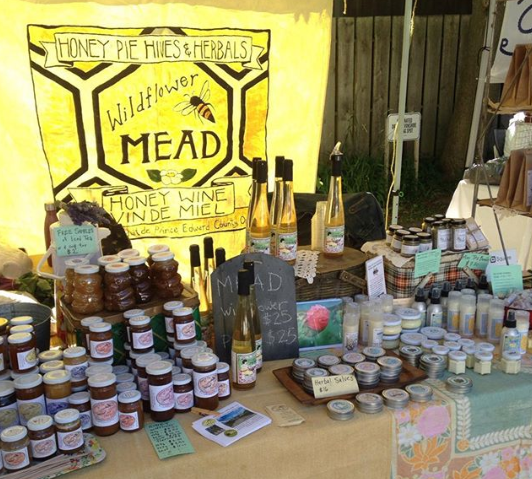 Honey Pie Hives and Herbals offers a farm stand and tasting room. Known for their mead (wine made from honey), they are beekeepers and herb growers. Try their herbal teas and extensive range of honey, which includes chocolate honey and lavender honey. Known for their extensive orchards, stop in at Creasy’s Apple Dabble Farm late-summer through fall for apples, apples and more apples. At The Blueberry Patch, you can pick-your-own strawberries, raspberries, blackberries, apples and, of course, blueberries or purchase ready-picked at the farm stand. Fields of gold best describes the 35 acres of sunflowers blooming at Sunnydale Farms in July and August, but the sixth generation farmers are also known for their tasty kettle corn and popping corn. 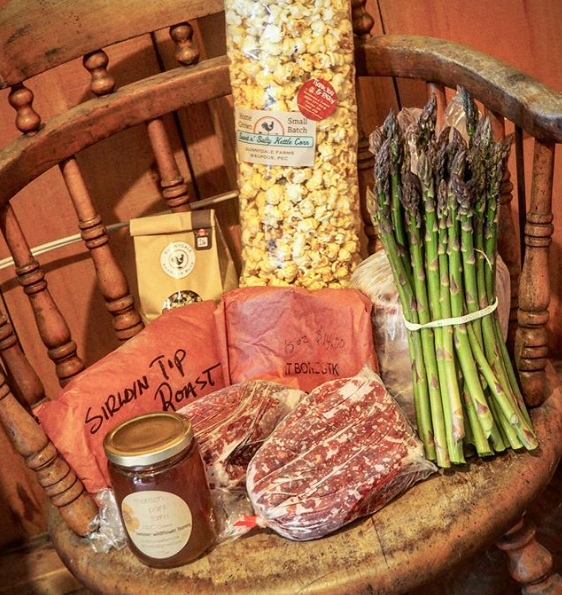 A true family farm with deep local roots, look for asparagus at the roadside stand in spring. Pick-your-own or purchase ready-picked blueberries at the pesticide-free Little Highbush Blueberries (est. 1979). On the hottest days of summer, giant walnut trees on the property provide valuable shade. They grow lettuce, onions, cucumbers, snow peas and more at Waupoos Acres Farms. Sign up for the CSA (community-supported agriculture) program to receive goody-boxes of seasonal produce or drop in for pick-your-own strawberries. 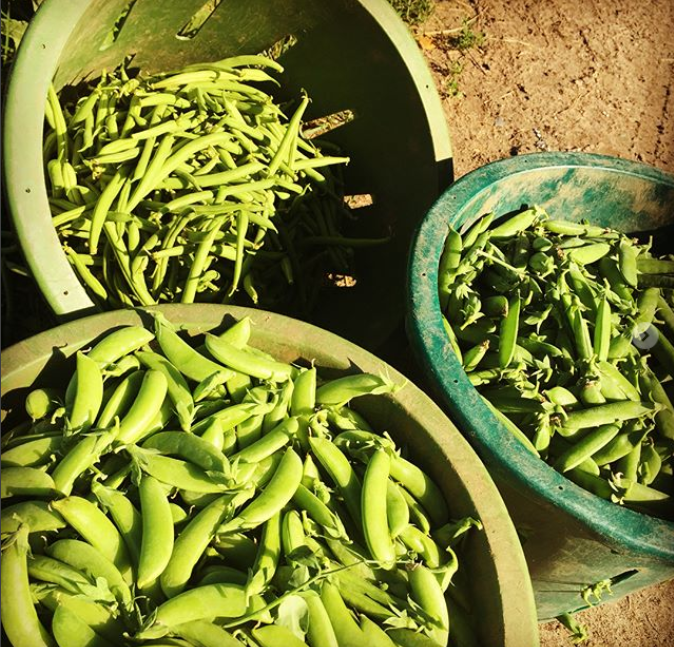 Six acres of glorious veggies grow at Fiddlehead Farm, from radicchio and rutabaga to turnips and tomatoes, celeric and cabbage. You’ll find eggplant and edible flowers, herbs galore, Jerusalem artichoke, melons and more. 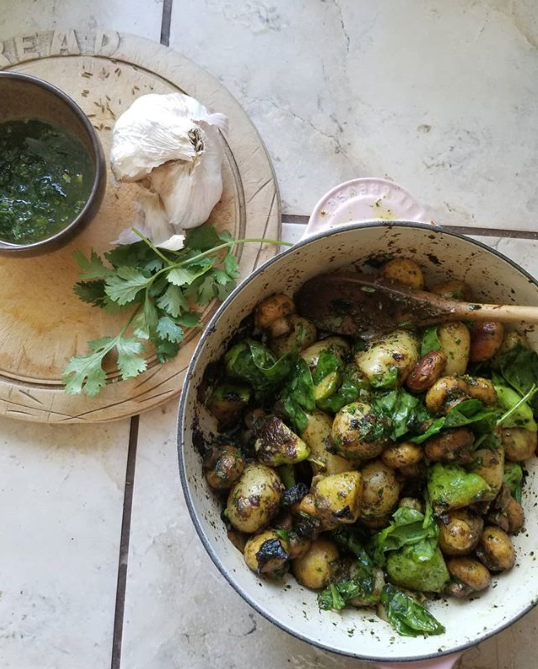 The County Bounty Farm and Artisanal Soda offers non-certified organic new potatoes, varieties of basil and edible flowers (including squash and dill flowers). 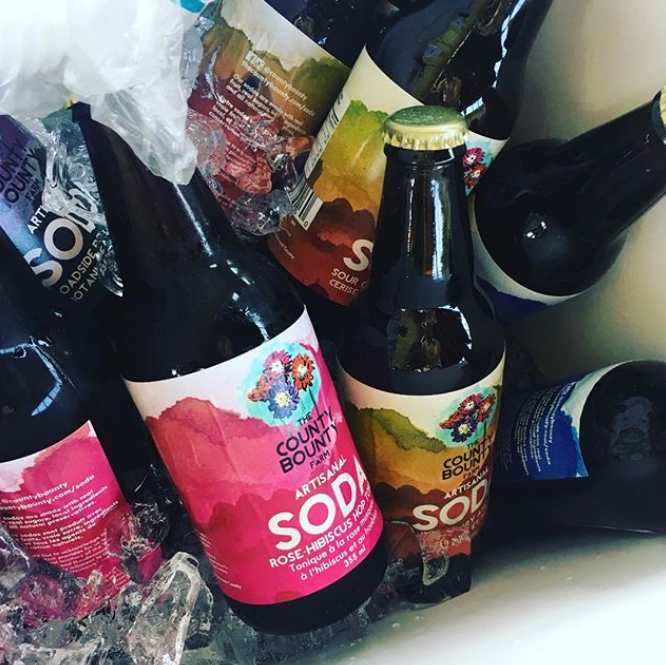 Along with green leafy things, fruit and root vegetables, they have amazing artisanal soda. Made with real fruit and all-natural preservatives, the exquisite line-up includes lavender lemon basil and sour cherry and mint.